The Merrimack Valley Chapter of the Embroiderers’ Guild of America, Inc (EGA) hosts multi-level classes in Traditional Japanese Embroidery several times each year. Classes are typically held at locations within 25 miles of Boston, Massachusetts and convenient to major highways. Classes are taught by a teacher certified in Traditional Japanese Embroidery by the Japanese Embroidery Center (JEC) in Dunwoody, GA, and they follow the JEC's "phase" approach where a student learns new techniques and applications with each new project in the series. 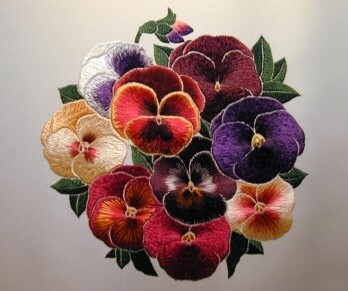 Classes run four or five days to allow for comprehensive instruction of new techniques, but stitchers experienced in Japanese Embroidery may opt to attend for fewer days. Class is open to students at all levels, including complete beginners. 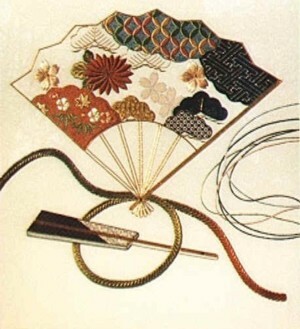 No previous classes in Traditional Japanese Embroidery are required. Class costs depend on the number of days attended, and materials cost is determined by the project selected. Please contact Elizabeth Slomba for details or to be added to the mailing list.